Tanghalang Pilipino opens its 32nd season with Layeta Bucoy’s “Balag at Angud”, an original musical based on the life of protest installation artist Junyee. It will be running from August 31 until September 16 at the CCP Little Theater and we’re giving away 2 TICKETS to 10 LUCKY WINNERS to the opening night on August 31, 8pm! 2. 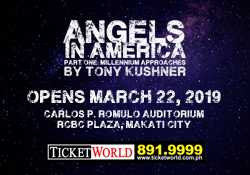 Share this post on your Facebook wall and tag the person you want to take to the show. In the post, tell us why you want to watch Balag at Angud. 3. Don’t forget to set​ ​your​ ​post​ ​to​ ​public​ (so we can see them! 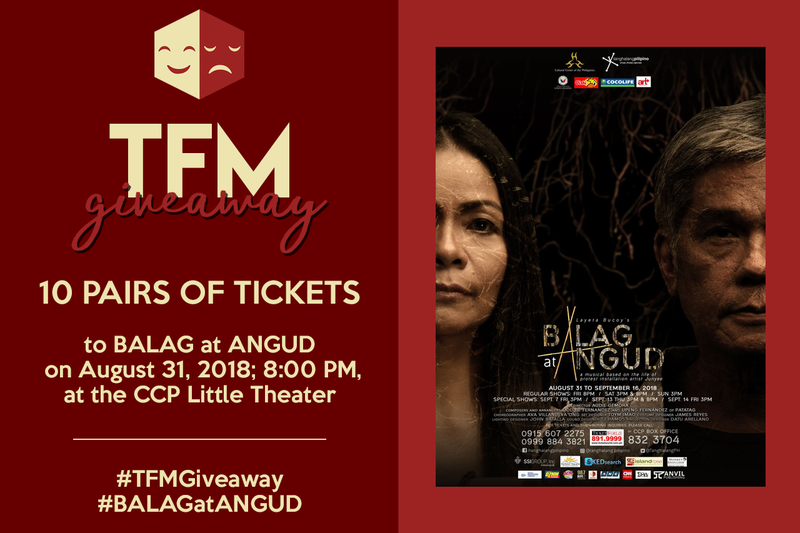 ), tag us, and include these hashtags: #TFMGiveaway, #BALAGatANGUD. You can submit​ ​your​ ​entries​ ​until​ August 8, 8pm​. Team TFM will be choosing the winners and we’ll announce the lucky theater fans on August 8, 9pm on our Facebook page! Break a leg!